On Friday afternoon just after 3:00 p.m. the couple responded to an emergency in which an individual jumped off the Kibbutz Galuyot bridge. The patient suffered severe trauma to multiple systems and was treated on scene by the couple who were among the first responders to arrive at the scene. “We were out shopping and we got the call that a person had fallen from the bridge. Due to the traffic jams that ensued, it took the ambulance a long time to arrive. We drove on Lior’s ambucyle and arrived in just a few minutes,” explained Shvimmer. 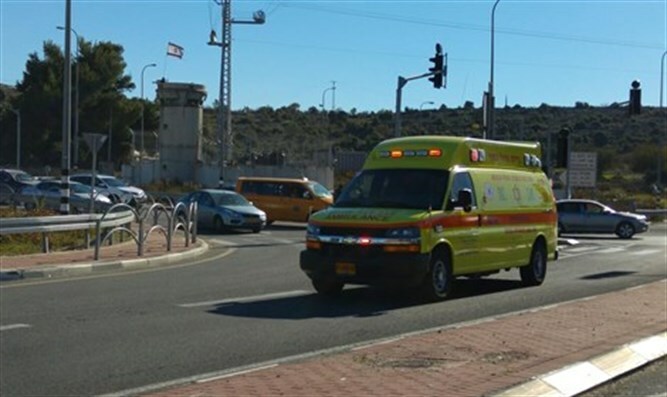 The couple, who had treated a teenager for serious stab wounds just two days earlier, was on the scene of the attempted suicide within less than three minutes, thanks to Ashkenazi’s ambucycle. “We arrived at the scene together but left separately,” explained Ashkenazi as Shvimmer, who is a paramedic, had to head to the hospital with the ambulance as the vehicle that arrived at the scene did not have a paramedic on board.